Shock resisting tool steel has been designed to resist shock at low or high temperatures. Its low carbon content is required to achieve the necessary toughness. This group of metals has high impact toughness, but a low abrasion resistance. Typical applications of S-Grade tool steel include Battering Tools, Boiler-Shop Tools, Chisel Cold Working, Swaging, Chipper Knives. Shock resisting steel grades including S1(T41901), S2(T41902), S4(T41904), S5(T41905), S6(T41906), S7(T41907). A series tool steel is a very versatile, all-purpose tool steel that is characterized by low distortion factor during heat treatment, due to the increased chromium content. This tool steel has good machinability and a balance of wear resistance and toughness. Typical applications of A-Grade tool steel include Arbors, Cams, Die Bending, Blanking, Coining, Embossing, Cold Forming, Lamination. Air hardening steel grades including A2(T30102), A3(T30103), A4(T30104), A5(T30105), A6(T30106), A7(T30107), A8(T30108), A9(T30109), A10(T30110), A11(T30111). High carbon and chromium cold working tool(Air hardening steel ) was formulated to combine both the abrasion resistance and air-hardening characteristics. 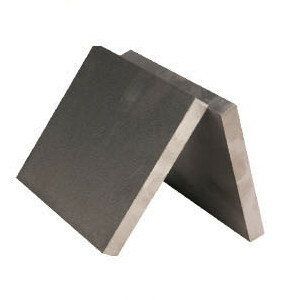 Common applications for these tool steels include forging dies, die-casting die blocks, and drawing dies. 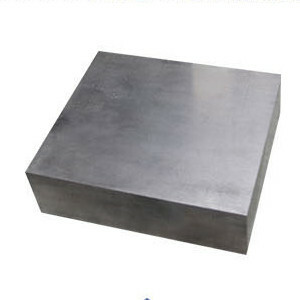 AISI D2(T30402) is the commonly used D series tool steel. Other types including D3(T30403), D4(T30404), D5(T30405),D6(T30406), D7(T30407). hot work tool steel is used to cut material at high temperatures. The H-Group has added strength and hardness for prolonged exposure to elevated temperatures. They are low in carbon and moderately high in additional alloys. AISI H1-H19 are 5% chromium based, H20-H39 are tungsten based and H40-59 are molybdenum based. H13(T20813) is the most widely used industrial hot working tool steel. The choice of Tool Steel series depends on a number of factors likes sharp cutting required, impact loading, abrasion resistance and heat treating. Lkalloy is a leading AISI tool steels and high speed steel suppliers with a wide variety of tool steel grades, shapes and sizes. Contact us to inquire about tool steel.